Our Museum will take you into a multisensory journey, where you’ll discover the flavors and the age-old tradition of pastry-making. Our Museum and its collections will allow you to experience first-hand the history, art, culture and technology behind artisanal confectionery. 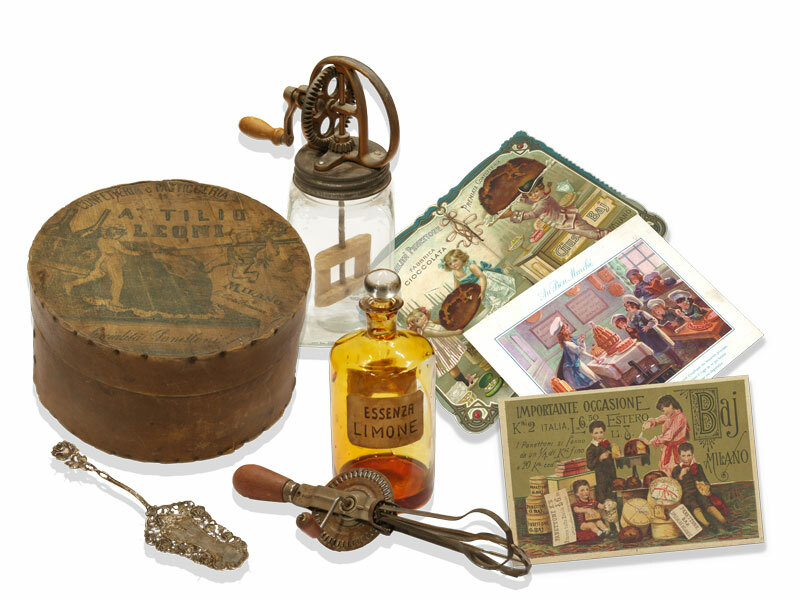 The Loison Museum collection is a testament to the history of bread and pastry-making. It offers examples of a culture that has its roots in ancient knowledge and in passionate research. It is the result of the spirit of three generations of men and experiences spanning 75 years: from an old wood-burning oven to a company known across international markets. Loison is a fine example of ‘Made in Italy’. It is in this building, located in Monticello Conte Otto, that our story begins. The family residence is on the second floor, above the shop. From here, Alessandro Loison runs his business, selling groceries within walking distance of the town’s City Hall. He is married to Lucia Negrin, with whom he has five children: Mafalda, Sandrina, Tranquillo, Domenico and Dolores. On the advice of one of his uncles, Tranquillo buys a small bakery from the Manni family. It islocated in the hamlet of Motta in the town of Costabissara and he moves there with his family. Encouraged by the teachings of his father and by the requests of his customers, who want more than just bread, Alessandro tries some recipes out and begins making pastries and spreads. His first confectionery experiment is the San Martino cake, based on a recipe suggested to him by a friend from Verona. The workshop on Via Chiesa begins making tiered wedding cakes, by now in high demand for ceremonies held by residents in town and in the province. On Saturdays, Loison delivers cakes for up to 10 different weddings. On May 28, 1969, Alessandro Loison puts down a deposit of one million two hundred thousand liras for the purchase of a piece of land in the suburb of Motta. The 5,000 square meters will later on be part of an industrial development plan. Alessandro replaces his father in the running of the business, which is by now too small to meet the increasing demand for baked goods of the market. The first corporate logo is designed in the seventies. The graphic image features the family name in red and the company is known as Dolciaria Alessandro Loison (or LA). With increased production and specialization in fresh pastries, Loison begins receiving its first recognition. The decade of the nineties marks the beginning of an eraof great changes within Loison. The organization of work is improved upon and production begins focusing exclusively on leavened holiday pastry products: Panettone and Pandoro for Christmas, Focaccia and Colomba for Easter.